2/5 Comic Strip Panel. Part of a comic strip featuring Numbuhs Two and Five! <3. 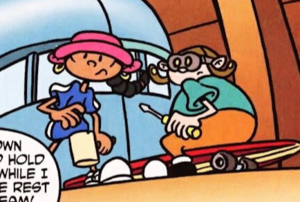 Wallpaper and background images in the Codename: Kids Next Door club tagged: photo codename kids next door knd numbuh 2 numbuh 5 numbuh two numbuh five hoagie gilligan abby lincoln. 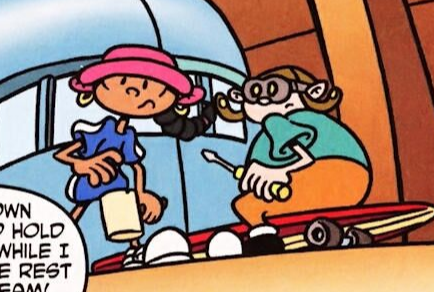 This Codename: Kids Next Door photo contains anime, comic book, manga, and cartoon.